So what does it mean to be a ‘faith partner’ of Chesapeake Bible College & Seminary? 1. Helping with the continuing existence of CBCS. 3. Helping keep classes low and affordable. 4. Helping us to spread the word about CBCS and helping to increase enrollment. 5. Staying in touch through e-mail and information from CBCS. 6. 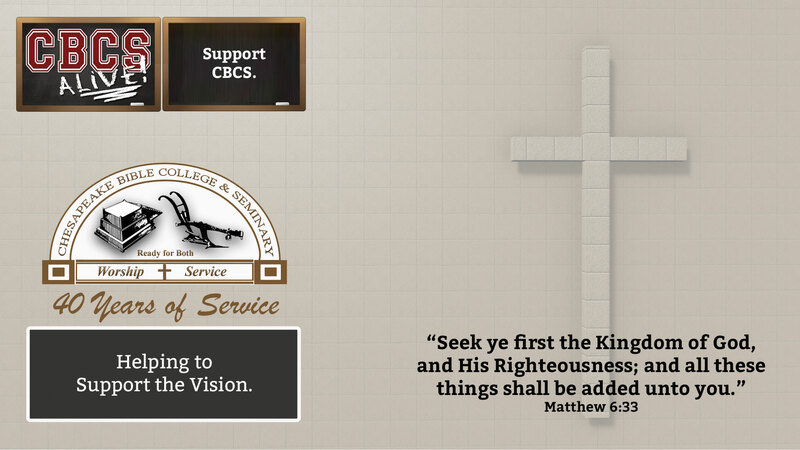 Keeping up-to-date as to what’s going on at CBCS.